I’ll keep this post quick so you can go right to the heart of it! 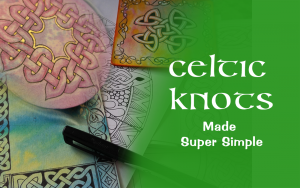 If you’ve been following me on Instagram or Facebook lately, then you likely have seen a number of my posts using this wonderfully convenient journal to record some of my miniature Celtic knotwork and experiments and samples. 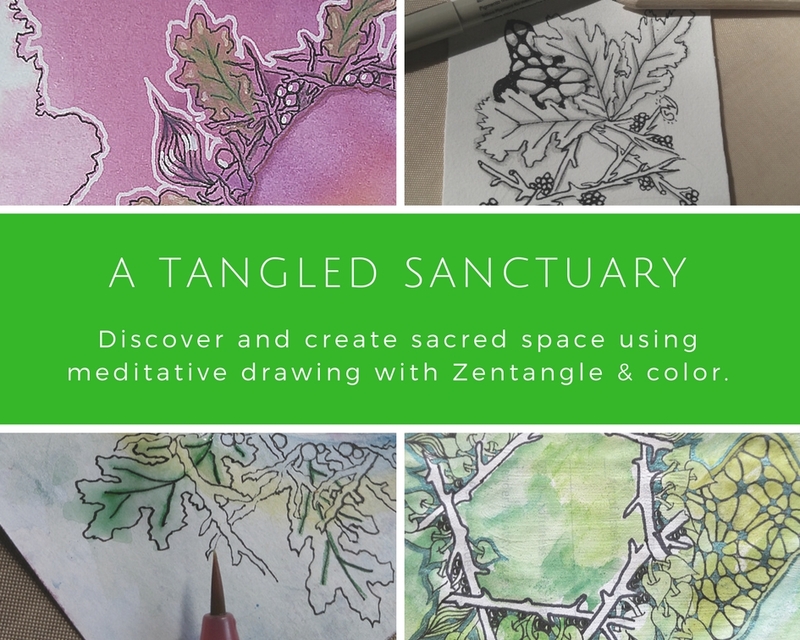 I’ve used the journal for my self challenge of #100daysofknotwork and I’ve also used it for samples for the Black and White Journal e-course. It’s been a wonderful book to take on vacation and give my others a short break, and also to do a daily contemplative art practice in a short bit of time with all the squares laid out in a week’s journal spread. 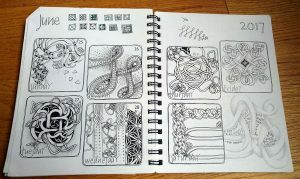 And of course the small squares are perfect for Zentangle inspired journaling too! 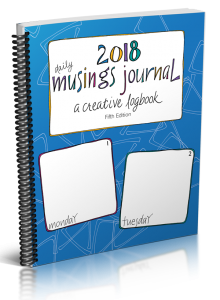 Late last month I was interviewed by Lisa DeYoung, the author/designer of the wonderful Daily Musings Journal and Mountain Mermaid website and August doodle adventure . See the video interview below and get a short flip through my work. And be sure to check out the journal yourself and reserve your 2018 copy soon, as I believe they are limited print runs. 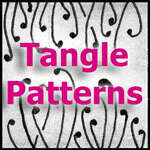 And stay tuned for another new tangle and video! This entry was posted in Art Journal, Celtic Knotwork, Collaborations, News, Video and tagged art journal, art journaling, collaborations, Journals. Bookmark the permalink.